Then you have to work for it! I’m working really hard here. 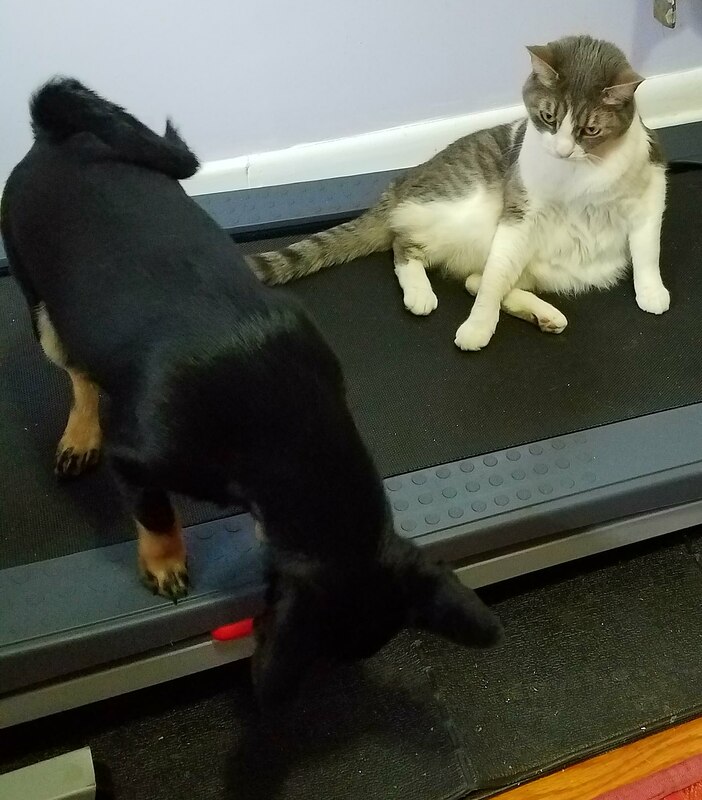 What do you mean I’m not keeping up with my 2018 New Year’s Resolution? 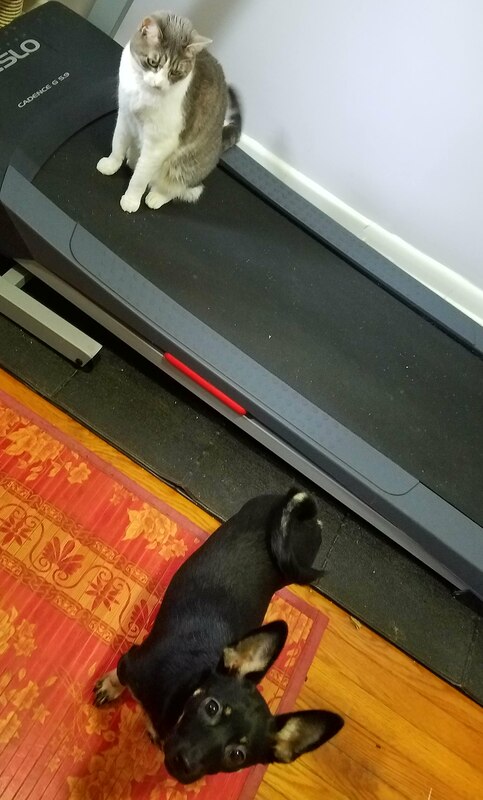 I resolved to use the treadmill. I never specified how I’d use it. 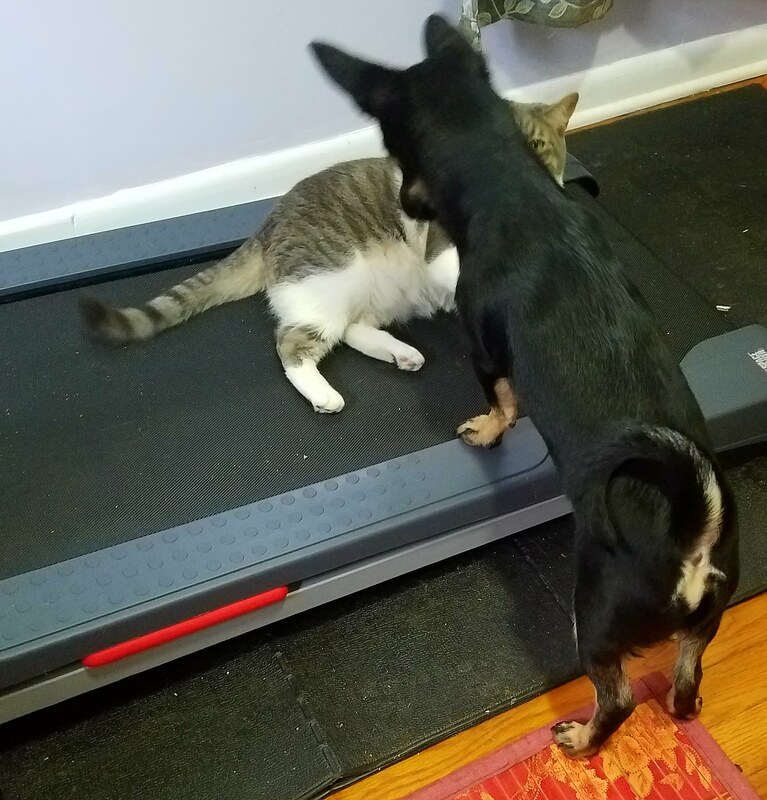 Now go away. 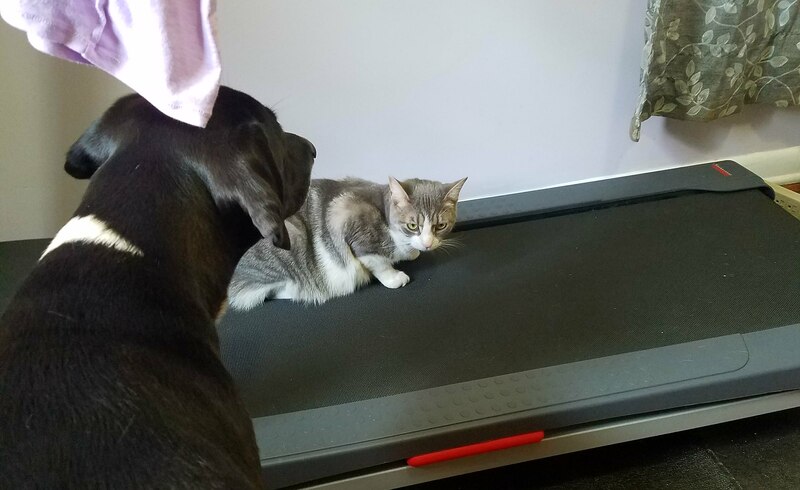 You are messing with my napping…er…wellness program. 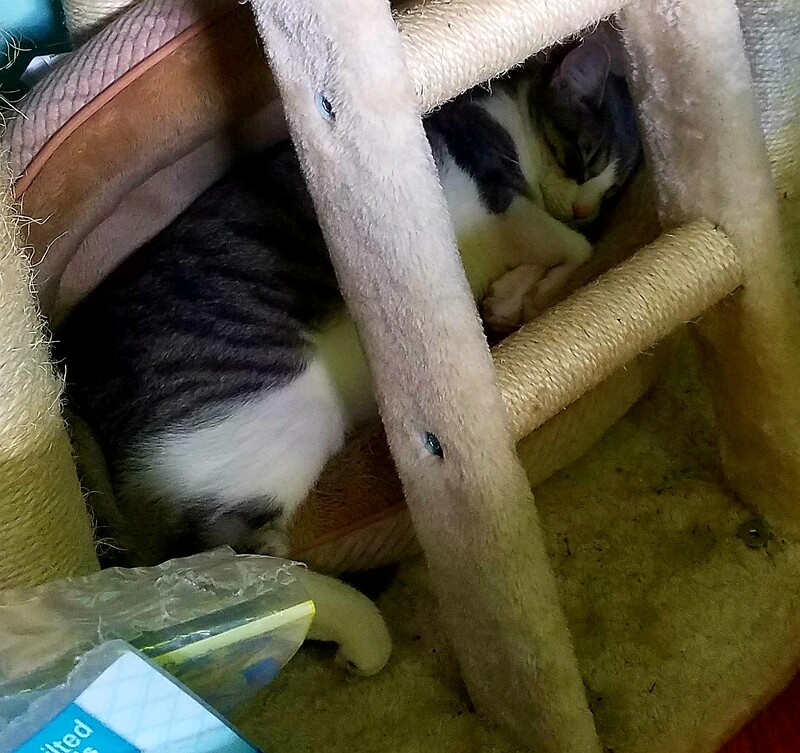 My Cat Tree is great for cardio, for strength work, for claw-sharpening and for naps. 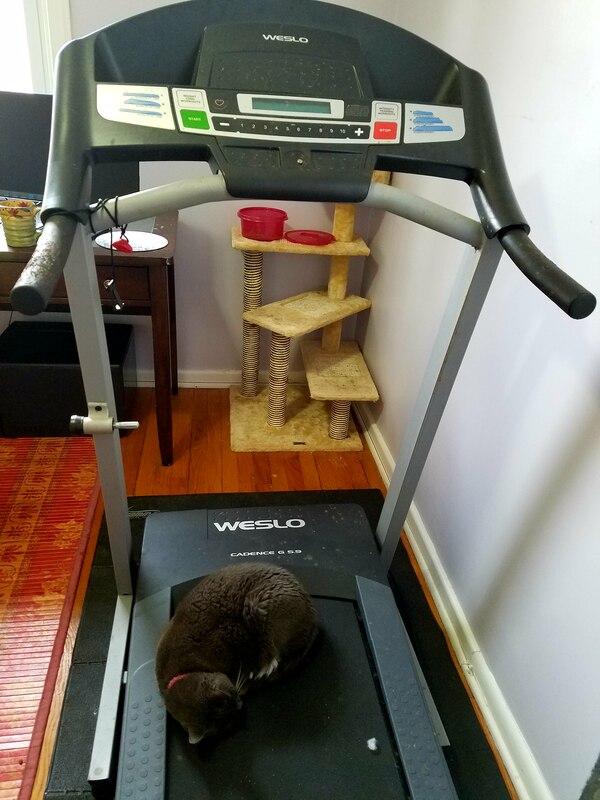 Maybe if your exercise equipment included napping options, you Humans would be more likely to use it. 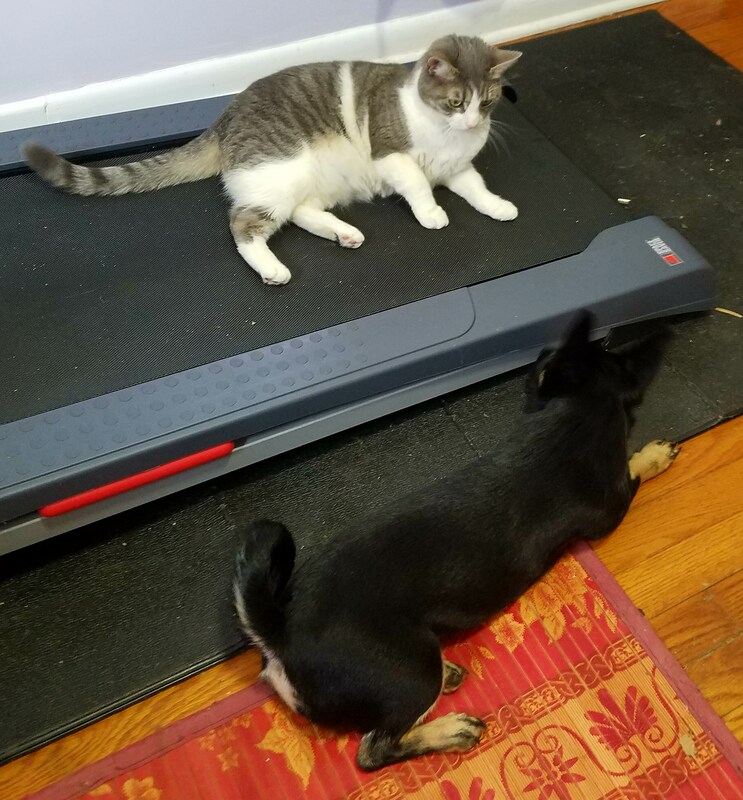 The trouble with gyms is that you can end up waiting a super long time to use your favorite equipment. 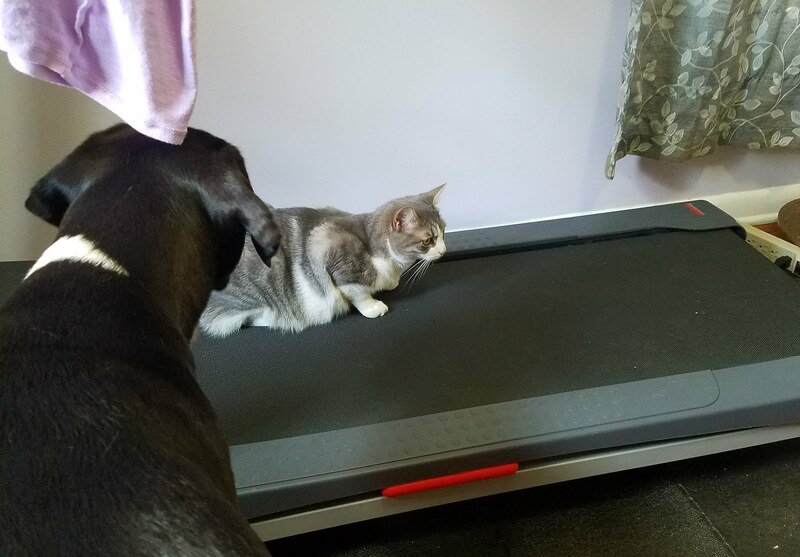 Don’t even think about starting a conversation or advising the pretty Kitty gym members on proper weight-lifting technique or the right way to face on the treadmill. At best, you’ll get a laser-like glare. 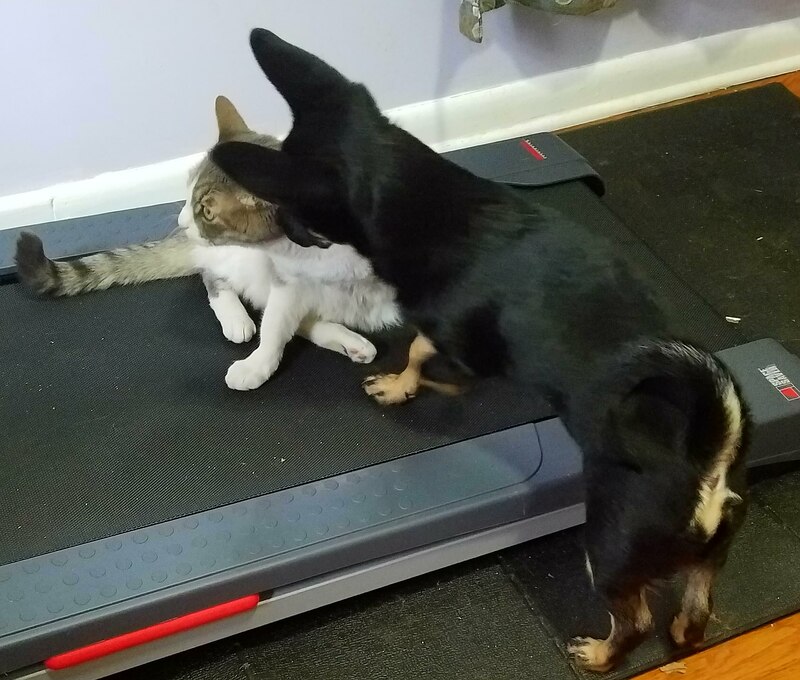 At worst, you’ll get a hiss, some truly un-ladylike words, and a couple of new painful scratches on your handsome Canine nose. Have you hit a performance plateau in your favorite sports of Fetch, Tug-of-War, Frisbee, Wrestling and Squirrel Chase? You haven’t necessarily peaked–it may just be time to switch up your training routine. 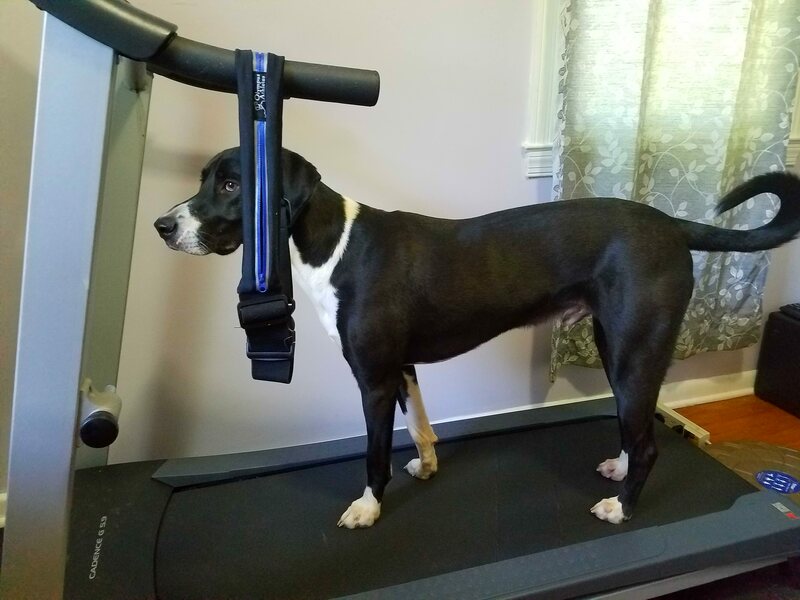 Jump on your Humans’ treadmill or elliptical or stationary bike and crank it up. Don’t worry–you won’t get in trouble. 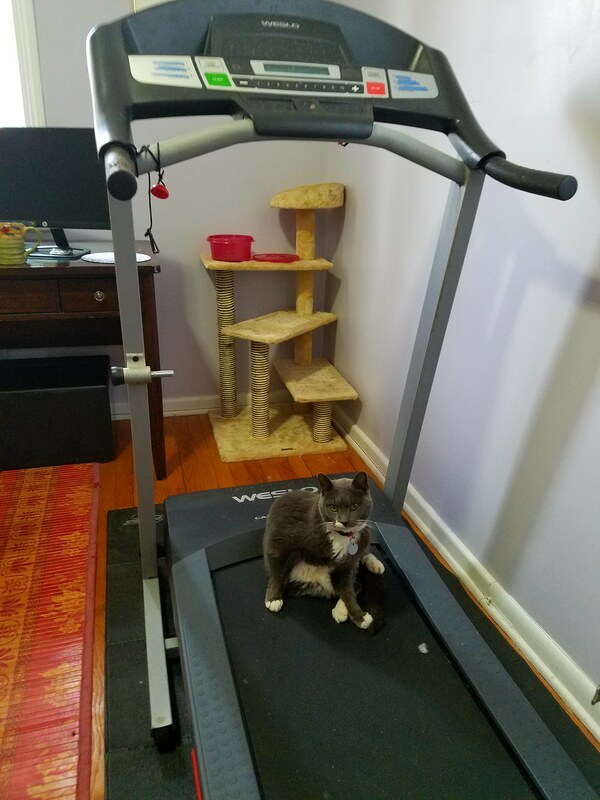 It’s not like your Humans actually use their home gym.